This show garden, sponsored by QVC, experimented with unusual combinations of materials and plants. 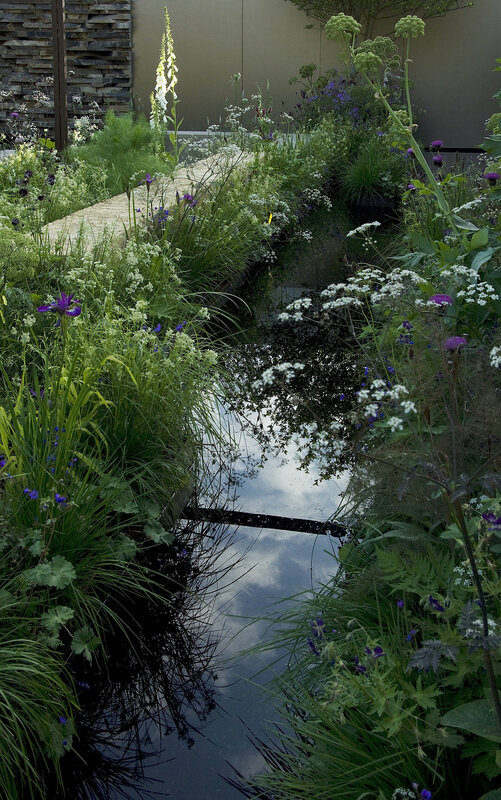 Rammed earth walling, acid-etched bronze mirror and verticals of exposed stone, framed a composition of still water and romantic, meadow-inspired planting. Hesperis, Gillenia and Euphorbia palustris created a soft foil to dramatic, emergent forms of Angelica archangelica and Cirsium heterophyllum.